Established in 2016, we give you the keys to a healthy lifestyle and guide you through the wilderness of the gym. The gym in my eyes is basically recess and should be fun and interesting at all times. When you put in the time and effort you will see results with the EFit954 guarantee. With your first visit, you will receive a FREE 30 minute consultation and session. One you agree to work with one of the best and start on the path of a healthy lifestyle, I will put together a weight management plan, exercise program, and a cardio program that you can follow on your own or together! I build plans that fit your budget. Along with all this, as a bonus you will receive a nutrition guideline sheet. The 1,500 sq. 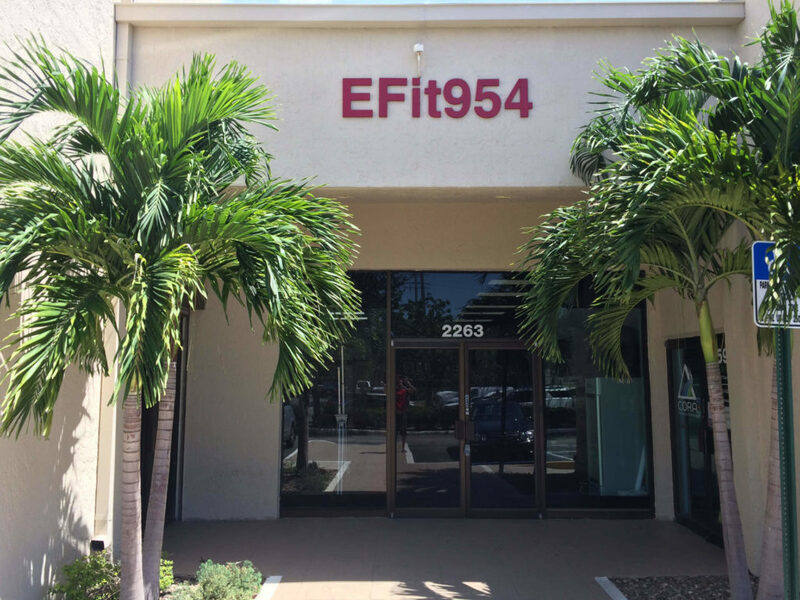 ft. EFit954 gym and studio centers strictly on personal training and features all of the latest equipment necessary to help get clients at all stages of life and in all types of physical shape on track to a healthier lifestyle. There are no membership fees, no crowded locker rooms, and there is never any waiting to use equipment. And while the facility is immaculately clean with an upscale, boutique feel, the cost of personal training at EFit954 is competitive with any of the areas larger, less personal membership clubs and is the center of our business. At EFIT954 you will enjoy the feeling of working out in your own private gym. You will be one of only a very few clients receiving personal training in the facility at any one time. Experience the difference of an exceptionally clean, hygienic, and well maintained facility. EFIT954 features an experienced, educated and professional training staff. Our passionately committed trainers keep 100% of their focus on you.